Your FoxyProxy accounts come with both proxy and VPN service. 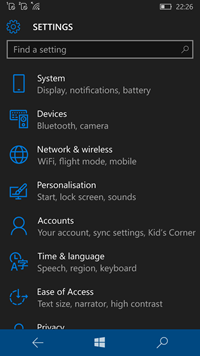 These instructions explain how to connect to your VPN account on Windows 10 Mobile. Select the VPN option at the bottom. Click the ‘Add VPN Connection ‘ button in the window that comes up. Enter your VPN details. Service provider can be the built in one. 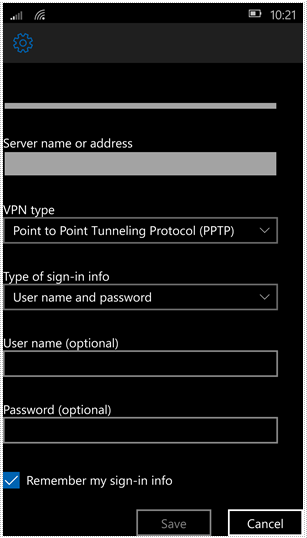 In the VPN Type drop down menu, select Point to Point Tunneling Protocol and then select the Username and Password sign-in authentication method. Enter your FoxyProxy username and Password. Once you have entered the VPN connection details, you can save the new connection. You can now connect to the VPN.